TP-Link Deco M4 is TP-Link latest product in their Deco lineup. 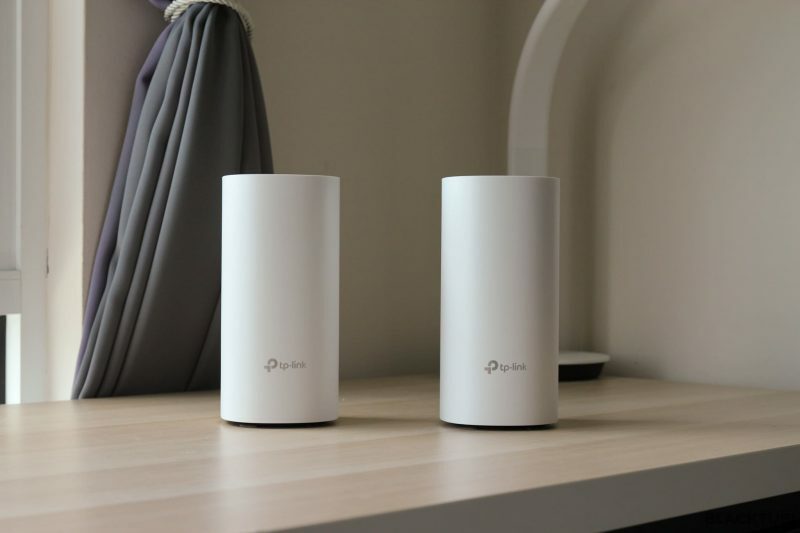 It is also the most affordable mesh WiFi kit from TP-Link and probably the most affordable mesh WiFi kit in the market right now. Mesh WiFi kit have been really expensive all the while and this new Deco M4 aims to be really disruptive to get more users to move forward to a mesh WiFi setup in their home. The retail price of the TP-Link Deco M4 is set at RM399 and it comes in a pack of 2 units. 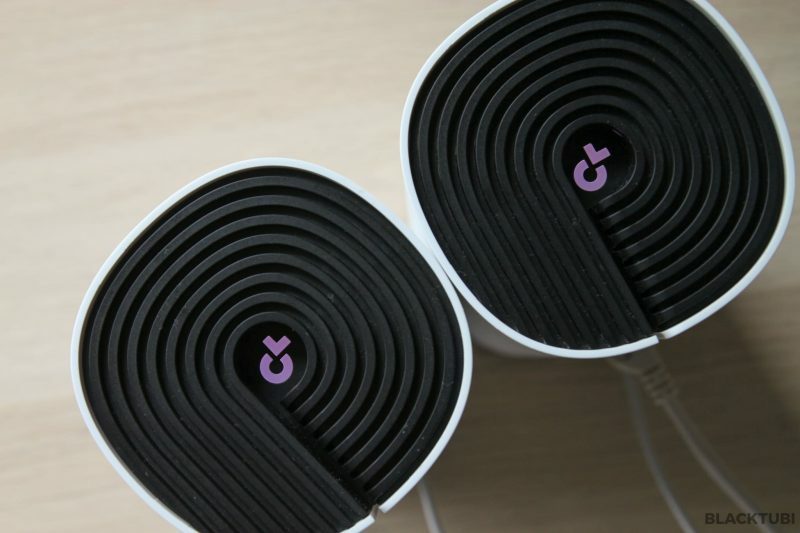 Both of them are identical and they will work together to expand the WiFi coverage at your home. 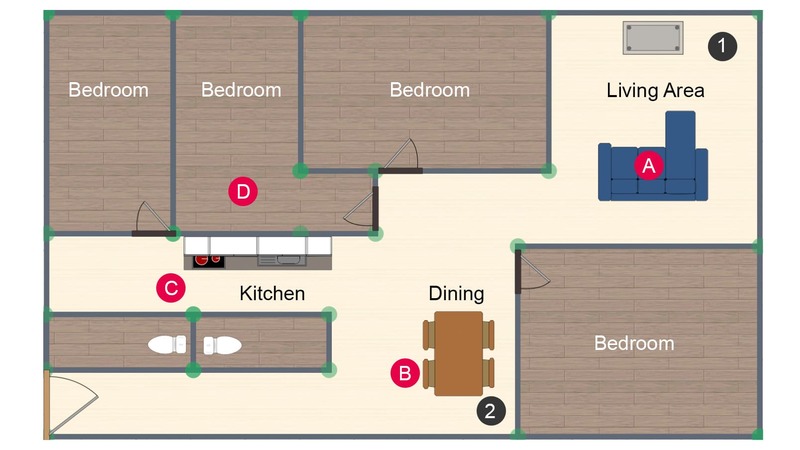 The main unit will be connected to the ISP modem and the second unit can be placed anywhere in the home with to expand the WiFi coverage. Mesh wifi network is the future of WiFi connectivity. The transmit power of a single wireless router is limited by regulation. In order to get faster WiFi speed around your home, a mesh WiFi system comes with a few units and they work together to bring better WiFi coverage in your entire home. Conventionally, we use WiFi repeaters to expand the WiFi coverage. But, a WiFi repeater comes with many downsides. Most WiFi repeaters perform poorly as they are just receiving and retransmitting without integration to the main router. Not only that, a proper mesh WiFi system have software that manage the entire network to ensure everything flows properly and avoid congestion. This can improve performance and the overall stability of the entire network. Being the cheapest mesh WiFi kit you can buy now, there are some inevitable compromises. The Deco M4 features Wireless AC up to AC1200 with support for MU-MIMO and beamforming, both absolutely crucial for mesh WiFi network. Unlike having the same specs as the Deco M5, the Deco M5 will perform better due to the better chipset. The Deco M4 comes with less features than the Deco M5. It does not come with the full Homecare suite. 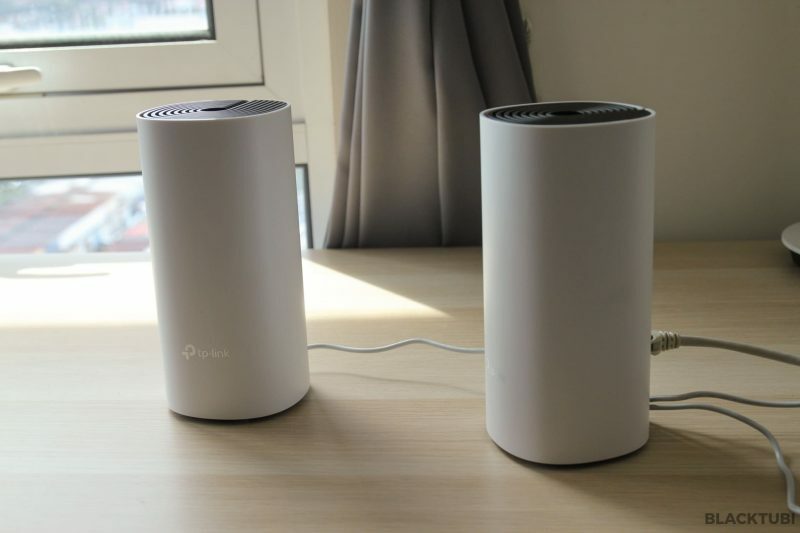 TP-Link removed the Homecare Anvirus and the Homecare QoS. But thankfully, it still maintain one of the best features of the Deco series which is fast roaming. TP-Link officially supports the 802.11k/v/r fast roaming standard. This feature will give you much better roaming speed which no other mesh network kit selling in Malaysia support. You can refer to TP-Link website for the full specifications. 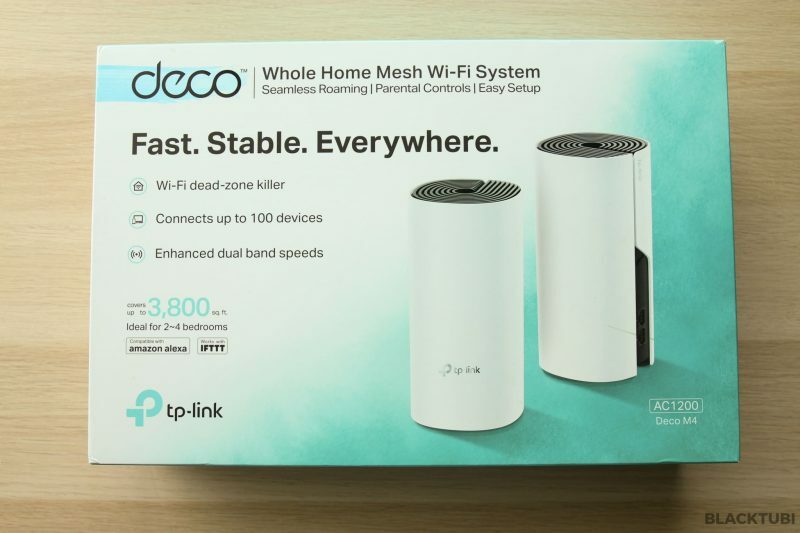 Like all TP-Link Deco mesh WiFi system, the Deco M4 can only be setup using the Deco app. It does not come with a web interface. Setting up the Deco M4 is a bit different as you have to manually connect to the WiFi of the Deco M4 unlike the Deco M5, Deco P7 or Deco M9 Plus which the app can automatically detect using Bluetooth. The default WiFi network name and password is printed below the M4. Once connected to the WiFi network, it is all very simple as the app will guide you through the entire setup process. Do remember to select your relevant ISP profile if your ISP requires VLAN tagging. The Deco M4 is compatible with TM Unifi though it does not support HyppTV at the moment. TP-Link claims that a future firmware update will enable HyppTV support on the entire Deco series. The features that come with the Deco M4 is really basic as expected due to the affordable price. It still have a basic QoS feature which let you to set which device have high priority. I suggest not using this as it is not practical with our faster Internet connection in Malaysia these days. Also worth mentioning is the Homecare parental control feature is retained though they call is parental control here. It still have the same granular control over the content restriction and time usage limitation for selected devices. The content restriction have a preset list of content limitation parameters. As for networking features, the Deco M4 support DHCP address reservation and port forwarding. 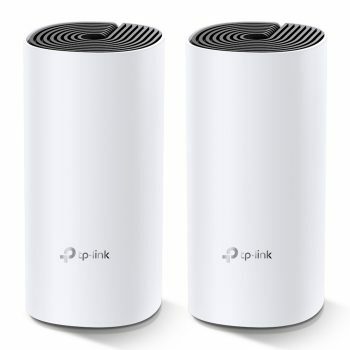 There is a free TP-Link DDNS as well. 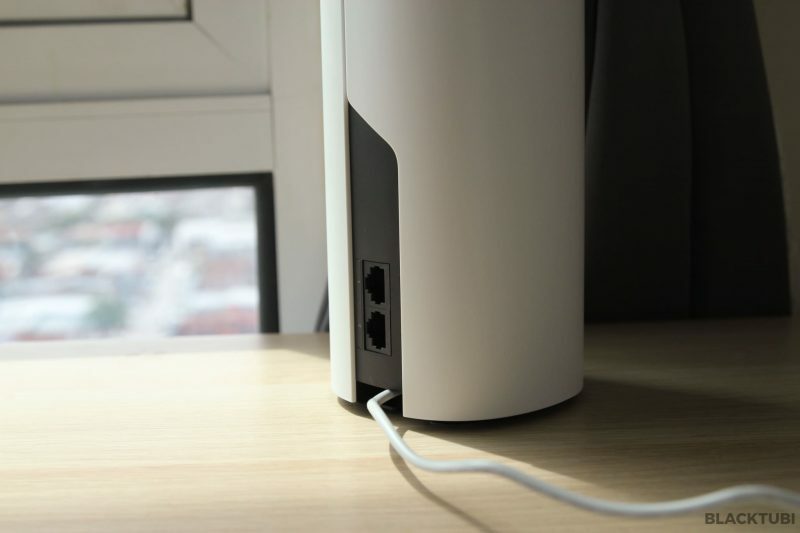 TP-Link Deco M4 can operate in either Router or mesh Access Point mode. It is also able to support wired backhaul for even better performance. As for the WiFi features, it can support MAC address blocking and guest WiFi network. 2 Decos are indicator by the black dots. The greatest concern of the Deco M4 is definitely the performance as a mesh WiFi kit. 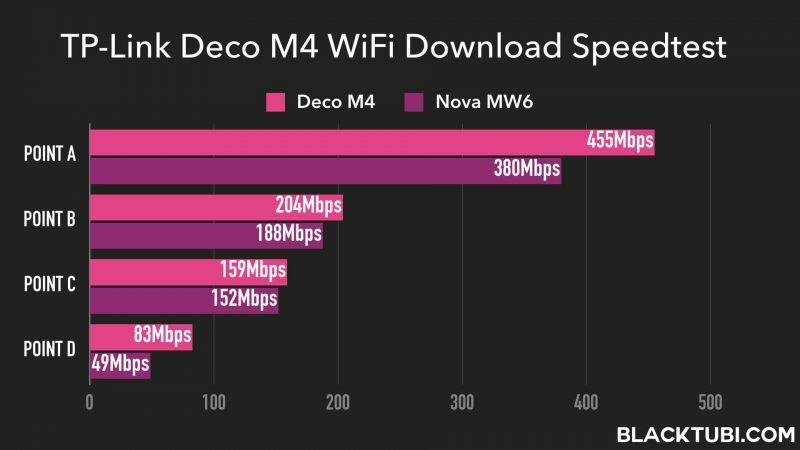 We will be comparing the Deco M4 agains the Tenda Nova MW6 which is a mesh WiFi kit around the same price range. To benchmark the performance, we will be running speedtest on my iPhone around different spots in my apartment. Leave a comment below if you want us to compare this against a much more expensive single router setup. The performance is nothing but impressive being an affordable mesh WiFi network kit. It performs better than Tenda Nova MW6 which is a similarly priced mesh WiFi kit. This is more apparent in the upload speed as the Deco M4 is significantly faster than the Nova MW6 in our upload speedtest. TP-Link Deco app is also much more user friendly than Tenda WiFi app. 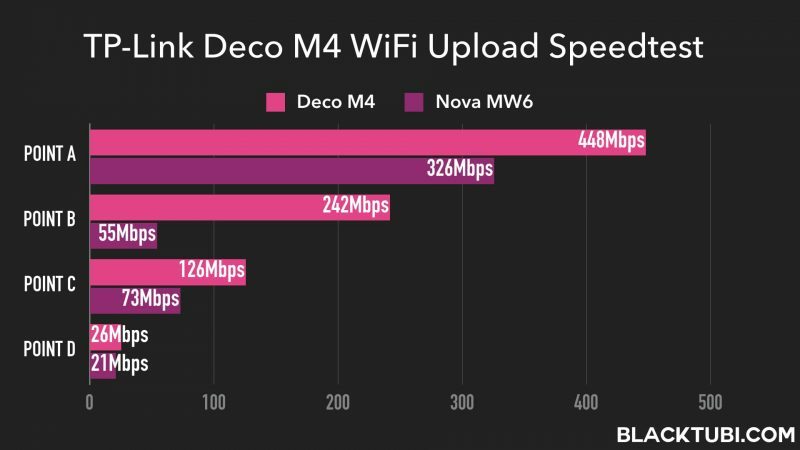 We also notice the Deco M4 have an edge on the overall network stability as we occasionally face connection drop while using the Tenda Nova MW6. TP-Link Deco M4 is a great mesh WiFi kit and I will even go to the length to say you should buy this instead of some higher end wireless router. It does what it should which is to provide whole home WiFi coverage at a really affordable pricing. Not to mention that, there are some features such as fast roaming even some more expensive mesh WiFi kit does not support. The Deco M4 is very easy setup and support Unifi Internet currently. At just RM399 for a pack of units, the value is amazing as it works really well and offer far better bigger WiFi coverage than even the Archer A7. I recommend getting a mesh system especially for those who stay at a property bigger than 1200sqft. At RM399 for a pack of 2 device, it not only offers very good value for money. It works very well and it is a good bargain for those living in a big property. Does this M4 support port forwarding? Or any mesh wifi that’s supports port forwarding that have unifi support at the same time? Yes, M4 supports port forwarding.